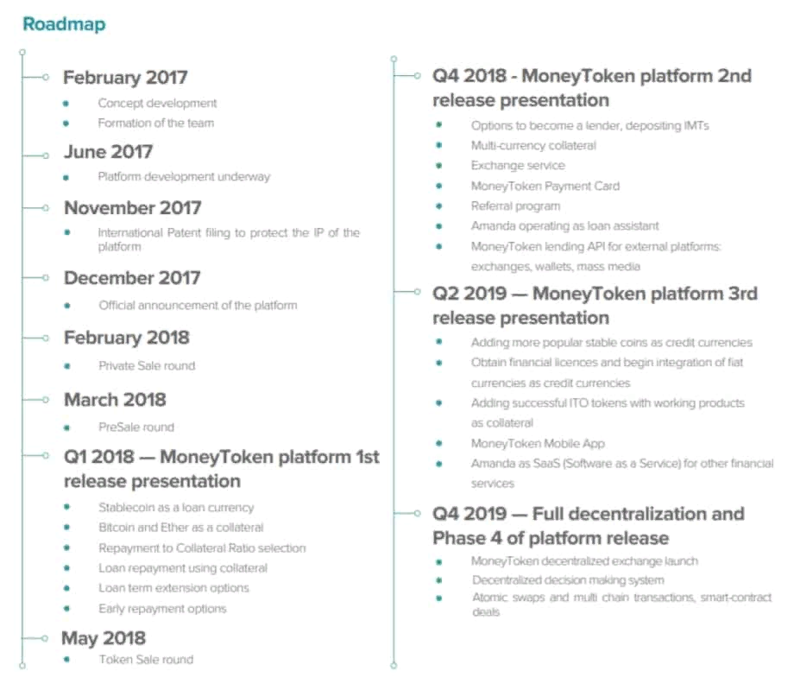 "MoneyToken" blockchain-based financial ecosystem. ICO LIVE. MoneyToken is a platform for issuing loans secured by cryptocurrency. The system allows you to use Bitcoin, Ethereum and other popular coins as collateral, without transferring them to the full disposal of the lender. The security of the funds is guaranteed by using a multisignature, and the conditions for issuing a loan are prescribed in a public smart contract. MoneyToken eliminates the need to sell cryptocurrency to cover running costs. Instead, they can simply take out a loan without losing the opportunity to generate income from an investment in the future. 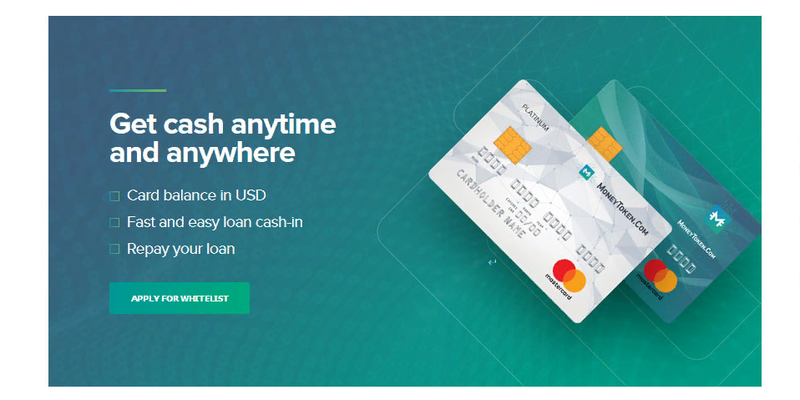 How to get a loan in MoneyToken? receive funds in one of the available ways. The user needs to choose the loan term - from 3 to 90 days. The minimum loan amount is $ 500, and the maximum bar is limited to $ 1 million. The creators of the system assume that large loans will be popular among professional crypto investors: thanks to MoneyToken they will be able to increase their trading capital. signatures are in the management of the MoneyToken platform. To make a transfer from a multi-signature wallet, you will need any 3 signatures. This means that, in the event of a disputable situation, MoneyToken will be able to act as an arbitrator by side with one of the participants in the transaction. After confirmation of the pledge, the stage of consideration of the application begins. It usually takes place in an automatic mode and takes a few seconds: the analysis of the borrower's reliability produces artificial intelligence. MTC - own platform token, the rate of which is also linked to the dollar. As a result, the size of the loan does not depend on the exchange rate fluctuations of the cryptocurrency that is in the pledge. The information about the loan parameters is fixed in the Ethereum smart contract and serves as a reliable source of data in the consideration of disputable situations. To spend the loan obtained with the help of the MoneyToken platform, it will be possible with the help of bank cards of the project. It is assumed that by the end of 2018, users of the system will be able to order the delivery of debit cards Visa or Mastercard. The card account will be linked to the borrower's account, which will immediately allow you to access the money without additional conversion. The white paper of the project also contains information on the launch of a decentralized exchange. The developers plan to complete this work by the end of 2019, but no details about the opportunities of the trading platform are not disclosed. During the ICO, MoneyToken investors will be offered a non-dollar-linked MTC, and a completely different token with an IMT ticker. It is not used for settlements when making deals, but it performs several auxiliary functions. Gives a 60% discount on commission payments in the system. It gives the holder the status of a privileged borrower. Allows the owner to obtain the role of creditor and independently engage in the issuance of loans within the framework of the platform. The activities of the MoneyToken project are supervised by two companies: Elam Enterpises LTD - a company registered in the British Virgin Islands. He is engaged in conducting ICO and issuing loans in cryptocurrency and Money Token Limited is a British company that works only with fiat money.